Diane Kaern is the former worldwide sales compensation analytics and reporting manager with Hewlett-Packard, representing a sales volume of approximately $127 billion. During her time with HP, Diane Kaern has demonstrated analytical knowledge and excellent communication skills. Cultural differences: it is human nature to want to spend time with members of one’s own culture, but this can create conflicting small group dynamics in the workplace. Managers can overcome this problem by mixing up employees and making sure all perspectives are being heard. 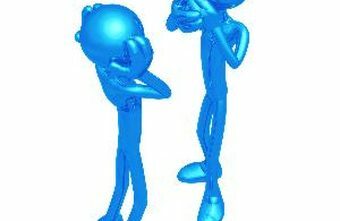 Listening problems: almost every workplace has one or more employees who interrupt co-workers and fail to listen to what anyone else has to say. By stressing the importance of good listening skills before discussions, managers can create a workplace culture that values expression and dialogue. Ego: when employees refuse to take ownership of their role in problem situations, no progress can be made toward solving the issue. While employees often need to have their egos “checked” by a manager, sometimes the best course of action is simply to let people disagree and move on. ← What Is the Difference Between Sales and Marketing?